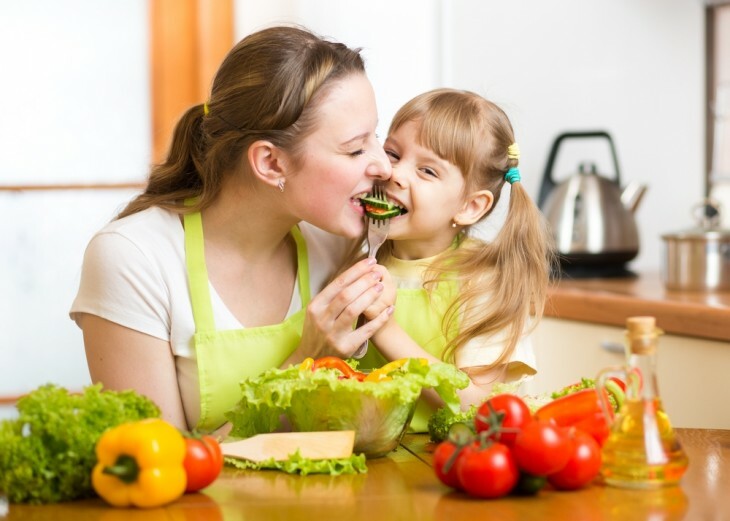 By far the best predictor of a child’s eating behavior is the eating patterns of her parents. If vegetables and healthy foods are relegated to an afterthought in your household, it’s tough to expect your kids to take to them. Kids eat what they know, and they won’t ask for a special meal if they do not know it is an option. Kids love to play make believe. They also love games. 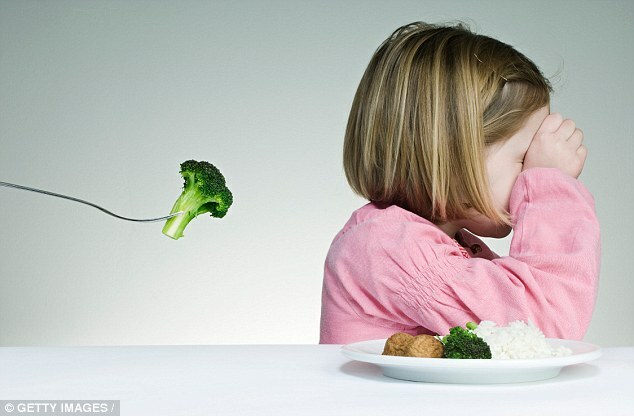 Broccoli can be intimidating to a kid hoping for macaroni and cheese. But if he is a dinosaur who needs to eat five miniature trees in order to outrun a tyrannosaurus rex, suddenly those florets are a lot more interesting. Relating healthy food to fun things the child already loves and turning it into a game is a great way to get a few bites of greens down the hatch. Children are more invested in a meal if they help with its preparation. Taking your kids with you to the farmers market or grocery store and letting them pick one or two things to cook for dinner can make them far more excited to eat it later. Better yet, start a garden and teach them how to plant and harvest their own. Letting them clean carrots, snap beans, mix the dressing and set the table gives them a sense of pride and makes them more enthusiastic and cooperative at meal time. Research consistently shows that children who have initially rejected a food must be exposed to it at least 8-10 times for the food to be accepted. Many parents have had success with the “one bite rule,” requiring the child to try at least one solid mouthful of a rejected food whenever it is served. After enough exposures the food will be more familiar to the child and usually they begin to rate it more favorably. One bite is different from finishing your plate. One of the biggest misconceptions among parents is that forcing their child to eat a food she doesn’t like will get her to change her behavior. However, fighting and punishments create a negative meal experience, and the child will learn to associate food with the bad feelings. Negative food experiences have the opposite of the desired effect and actually increase picky eating tendencies. Require one bite, but try not to start a fight. On the other side of the coin, creating positive food experiences can decrease picky eating tendencies. Research has shown that rewarding a child for trying one bite of a rejected food with things like stickers makes it easier for them to try the food. They are also more likely to rate the food positively in the future. When Should You Stop Letting Your Child See You Naked?